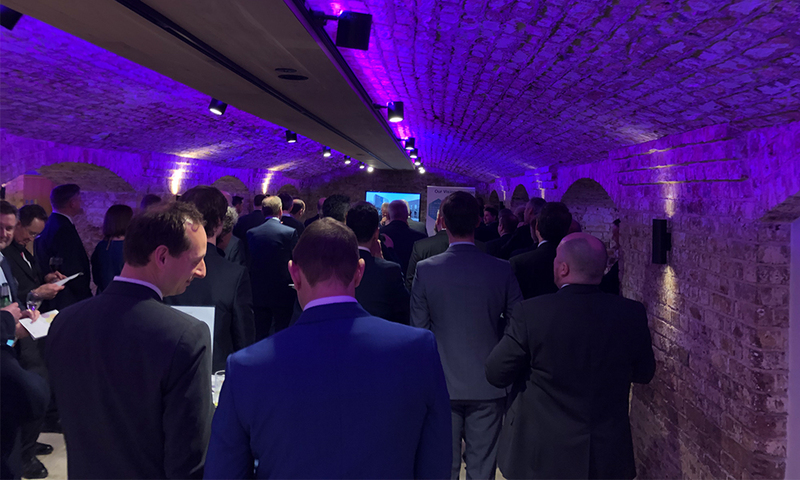 On Monday 21st January, Thomasons and Clear Structures invited a number of clients to our annual ‘Blue Monday’ drinks reception at Glaziers Hall in London Bridge. The event provided an opportunity for everyone to forge new relationships and develop existing ones in a unique setting in the London Bridge Arches. Featuring the exposed Sir John Rennie’s London Bridge, the newly created space was an ideal setting to host the evening, showcasing three restored Georgian brick arches, a grade listed original York stone floor and bespoke wine cellar. 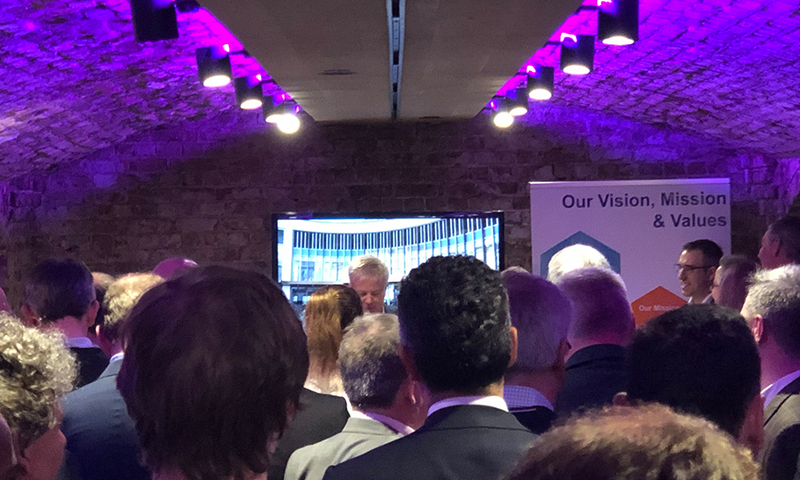 Giving a short speech during the event, Director Steve McSorley relayed to guests the successes of the past year, having completed several big projects such as the £150m Chase Farm Hospital redevelopment and winning our eighth retirement village project for Anchor. Steve also spoke passionately about how 2019 was set to be an exciting year for Thomasons and Clear Structures which has already seen the appointment of new Marketing and Business Development Director, Rachel Davis. We’re looking forward to continuing our longstanding relationships with clients and developing new ones in the coming year. To read more about our vision for 2019, click here.